Awaken your life force energy (Chi), open your major acupuncture meridians and circulate energy internally. 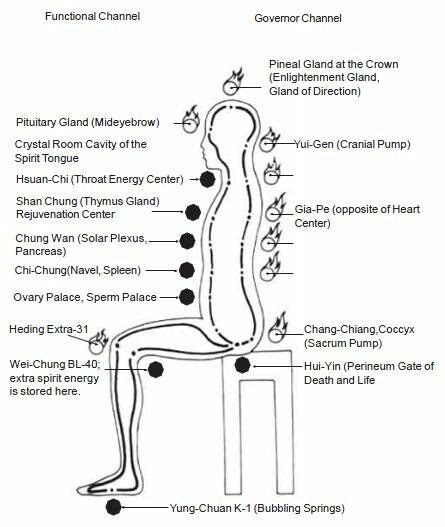 The Microcosmic Orbit meditation is a process of focusing Chi on key Energy Centers and circulating through the (2) main channels: Governor (back) and Functional (front). These sitting and moving practices manage stress, calm the mind and energize the body with regular practice. The MCO along with Inner Smile and Six Healing Sounds are the foundation of energy cultivation/circulation, emotional energy work, & internal alchemy.